Muse? No Thanks, I am my own muse. Ah, the Muse, the ancient source of an artist’s inspiration. Well, that is unless you’re a visual artist. You see, there is no muse claiming credit for the visual arts of painting or sculpture. Now, I know what you’re thinking. Surely, Amanda, you must be mistaken. But nope, I assure you Art has no Muse. Let’s take a look at those famous Greek ladies of inspiration. 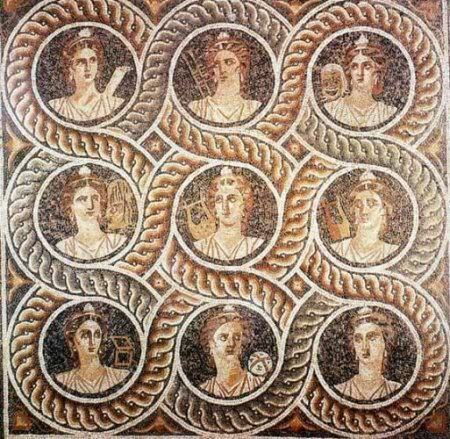 The muses according to Greek myth were the nine daughters of Zeus and Mnemosyne and were the protectors of the Arts and Sciences. Well let’s see, let’s start with the lady in charge, Calliope. Calliope, known as the beautiful of speech, was head of the muses and was the muse of epic or heroic poetry. Polyhymnia/Polymnia~the singer of many hymns~was the muse for, you guessed it singing, lyric, oratory, rhetoric, and sacred songs. Well actually, the Greeks valued the written over the visual. Just like some uptight writers I’ve known… You try arguing a picture is worth a 1000 words, and it gets ugly! Anyway, I digress. My point is, painters and sculptors were held in low regard, somewhere between freemen and slaves. I know. Nice, eh? Then again, some days it feels like we’re paid the same, lol. Looks like we’ll just have to continue drawing inspiration from inside ourselves, grabbing hold of the things we feel and experience in order to create. This entry was posted in Art, Art Musings, Uncategorized and tagged Ancient Greece, Art and Muse, Art article, Greek Muses, Inspiration, Muse on February 25, 2010 by Amanda.